Hi friends here is a list of all my books (up until March 13, 2019) and the order in which they should be read. The Hidden Ship is my latest- released on March 13, 2019. Enjoy! Both Print and Audiobook for Glory – now available. FYI – Those interested in alternative (to E-books) ways of reading my books—both the print version and the Audiobook versions are up on Amazon. Enjoy! http://www.markwaynemcginnis.com/wp-content/uploads/glory-for-sea-and-space-AUDIOBOOK-VER_sm.jpg 1000 1000 Mark Wayne McGinnis http://www.markwaynemcginnis.com/wp-content/uploads/mwm-text-logo.png Mark Wayne McGinnis2016-08-23 14:34:012016-08-23 14:44:05Both Print and Audiobook for Glory - now available. FYI … For those writers / aspiring new novelists, that would like to connect with me one on one about your projects … now’s your chance. 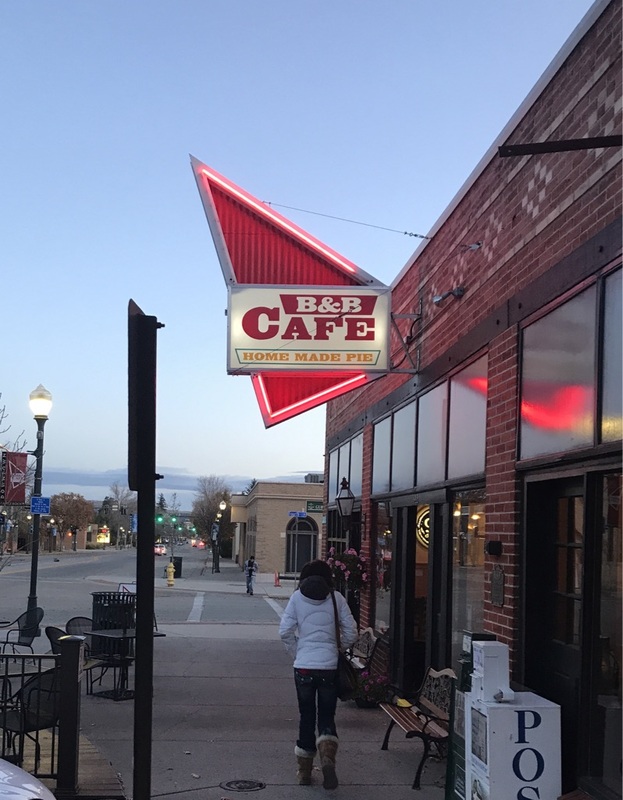 Once a month – 2nd Tuesday – I’ll be heading up a MeetUp group in the Denver / Boulder area here in Colorado. This “Writer’s Idea Factory” is on June 14th at the Louisville Alfalfa’s in their Community Room at 2:00 PM … show up if you can! Contact me for more info if you need it – thx! So where the hell have I been …? 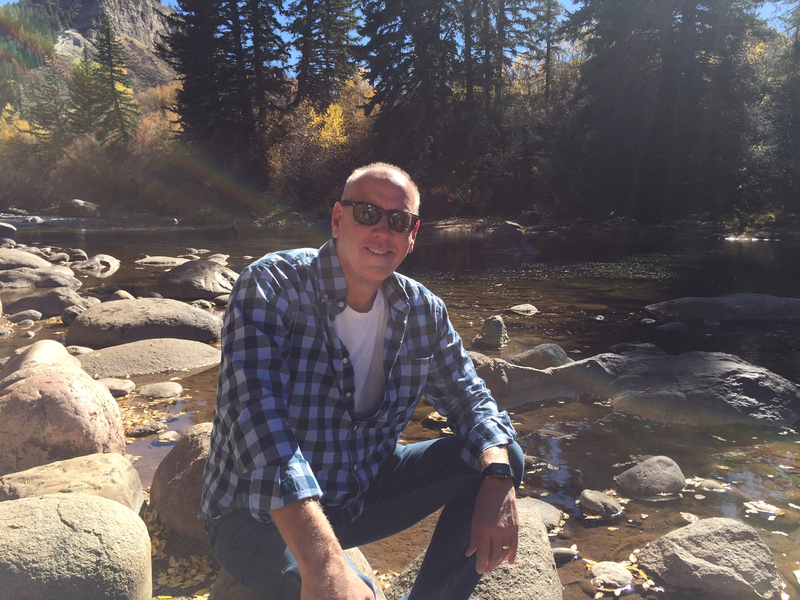 I’ve been moving (yes, still in Colorado) and taking a short break. Believe me, after writing 13 books in three years … it was necessary. I simply needed to ‘not write’ for a little while. I took the picture to the right on a walk this morning. This is what a breath of fresh air looks like … what relaxation looks like. My wife and I had reservations about moving to a small town. Would I loose touch with friends and family? 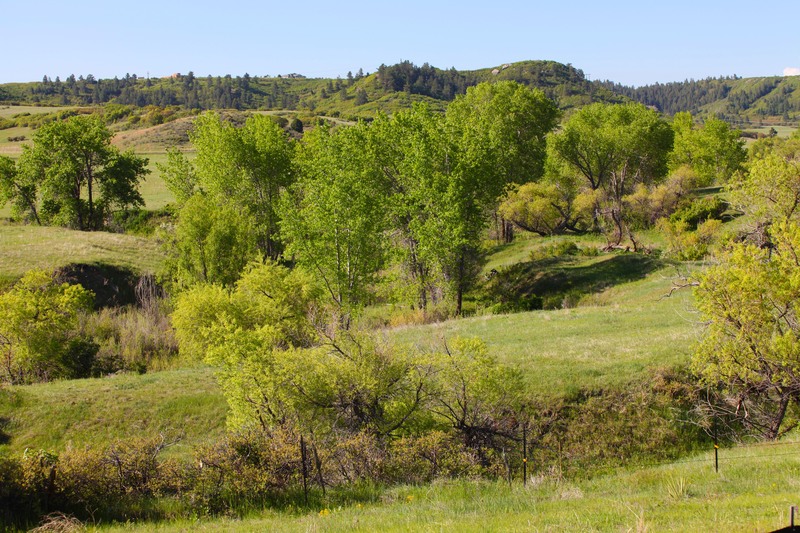 Would I miss the hustle and bustle of Denver and Boulder …? Seems those things weren’t much of an issue. What I gained was something I’d forgotten about—like the way drivers here give a little wave of acknowledgment when sharing the same road … or how people at the supermarket actually make eye contact and smile at you. Our escape to Castle Rock has been wonderful so far and the really good news is I’m writing again. 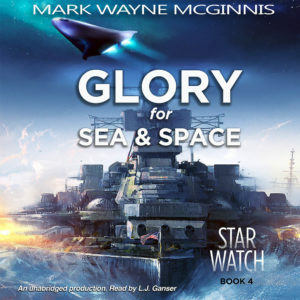 Following on the success of Boomer, the 3rd Star Watch novel—comes Glory for Sea and Space. It will not be a typical Scrapyard/Star Watch book. Over the years I’ve had numerous requests for a book that explores the period before Scrapyard … when Jason’s father, Admiral Perry Reynolds, along with Ol’ Gus first discover The Lilly (along with Ricket) and eventually head out into space. It’s a complicated book, especially since I needed to address what had happened to Mollie and Boomer (somewhere off in the Multiverse). 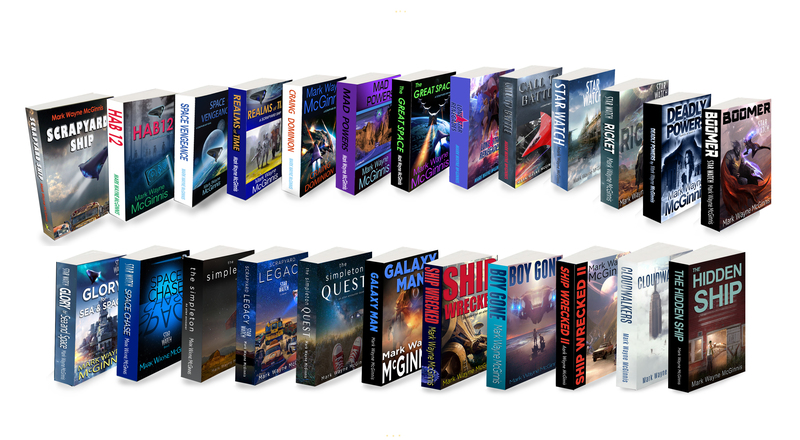 So we have a book that not only spans decades but centuries in time… For those that are big enough fans of the stories and actually read these posts … send me a note to become one of my pre-release reviewers. That’s all for now … time to walk the dogs. If you’re like me, you relish the day when that certain best-seller becomes available on audiobook. Today may be that day for you. I pretty much only read / listen, to books in audiobook format these days. By now you have become memorized by L.J. Ganser’s uncanny ability to capture each of the Star Watch (and Scrapyard Ship) characters. Ricket is probably the single-most ‘different’ of all my books in the two series. With the exception of Captain Jason Reynolds, Ricket is a huge fan favorite, eve though he’s non-violent, unabrasive, compassionate, and totally loyal. There’s no other character like him. 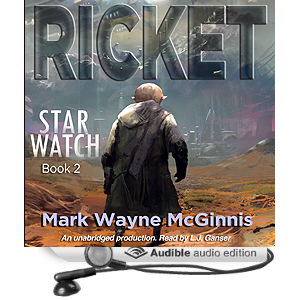 As the Star Watch saga continues, you’ll witness Ricket’s own internal conflicts as he becomes more and more a hybrid being … partially Craing … partially technology-based. He get’s himself in a heap of trouble in this book and it’s only by sheer luck and keen intellect that he just might survive … just maybe.